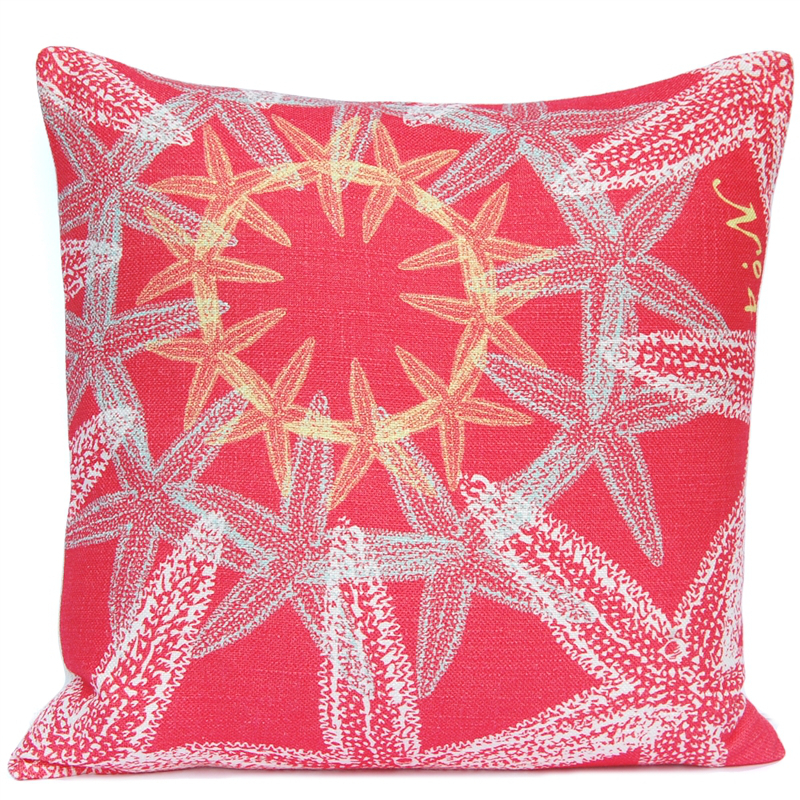 This is a perfect pillow for your beach or coastal theme décor. 50% Cotton / 30% Linen / 20% Viscose cover. 5% Down / 95% Feather filler. Dry clean only. Solid off-white fabric on the back. Note: Base cloth intentionally contains slubs and imperfections.